Welcome to the 1ooth post!! I can’t believe it passed that fast. I really wish this could be my full time job! 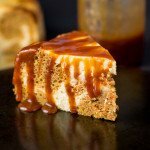 but I can’t think of a better way to celebrate, if you like carrot cake and cheesecake this is perfect for you, its not too sweet but the caramel sauce just takes it to the next level, get the recipe for caramel sauce here. If you want to make this with regular flour use 1 3/4 cup of regular flour instead of coconut flour. Start with the carrot cake, mix all of the dry ingredients and the add the wet ingredients including the grated carrots and mix well. For the cheesecake in another medium bowl cream the cream cheese with the sugar, add the flour and the eggs one at a time until well incorporated. 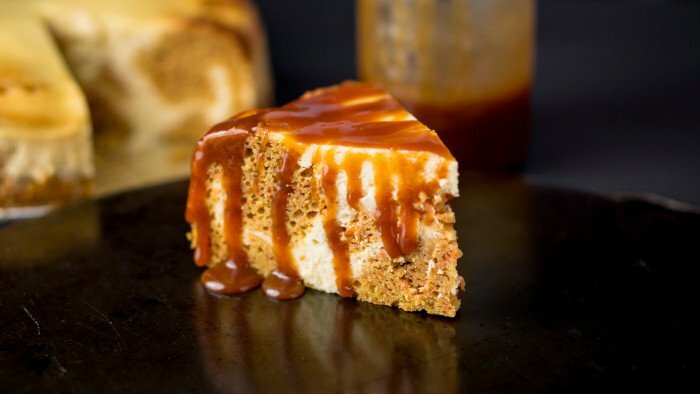 Lightly grease a pan with removable bottom, starting with the carrot cake put spoonfuls of batter in the pan, then alternate with the cheesecake batter until you've used up all the batter. Bake in the oven for 55-1 hour until an insert of a toothpick comes out clean. I clicked on your post from food gawker,your cake recipe looks amazing. When I have time I might have to give this one a try. 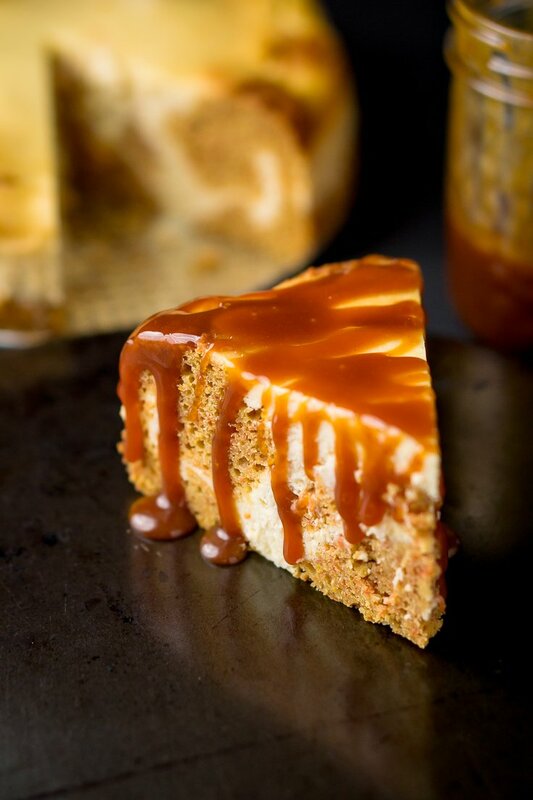 This carrot cake cheesecake looks AMAZING.. especially with all that drizzling sauce over the top. Seems to me that the amount of flour is low… Is that correct 1/4 cup coconut flour?? Yes it is correct because coconut flour will absorb all the liquid.